This guide offers some suggestions and resources for Boston College Law students' use during exam preparation. Information about exam schedules and procedures can be located on the Boston College Law School's Exam Information page. During exam period, the Law Library opens at 8:00 am on Saturday and 9:00 am on Sunday. In addition, Friday and Saturday evening hours are extended to 11:45 pm. Note: the last shuttle bus leaves Newton campus at 12:00 am so we close in time for everyone to get to the shuttle stop. This room is self-contained and extremely quiet. There are large tables where you can spread out your materials. 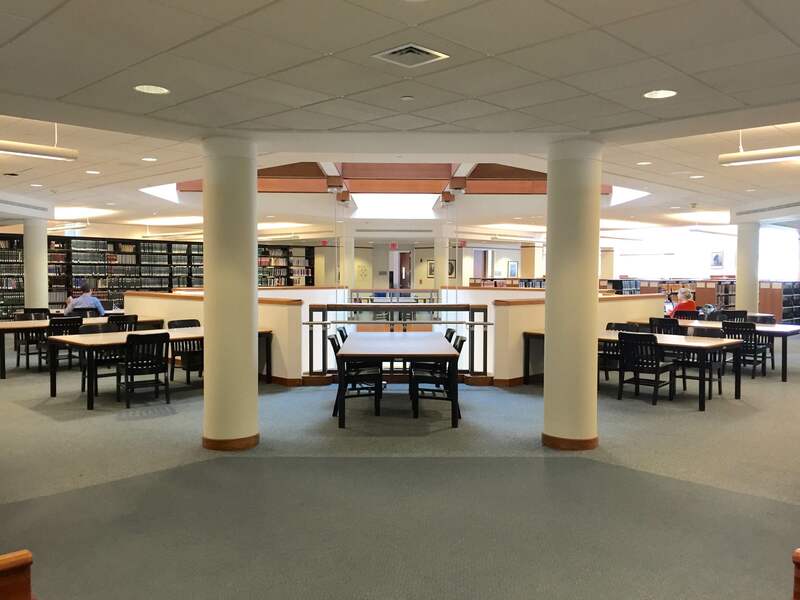 Located on the 2nd floor, this room is open for student use. Due to the nature of the materials, we do not allow food or drinks in the Rare Book Room. Please note that the room temperature is deliberately set to be colder to help conserve the fragile documents. Wear a sweater! The area designated for quiet study on the 4th floor is designed for students who prefer to study with a minimum of distractions. 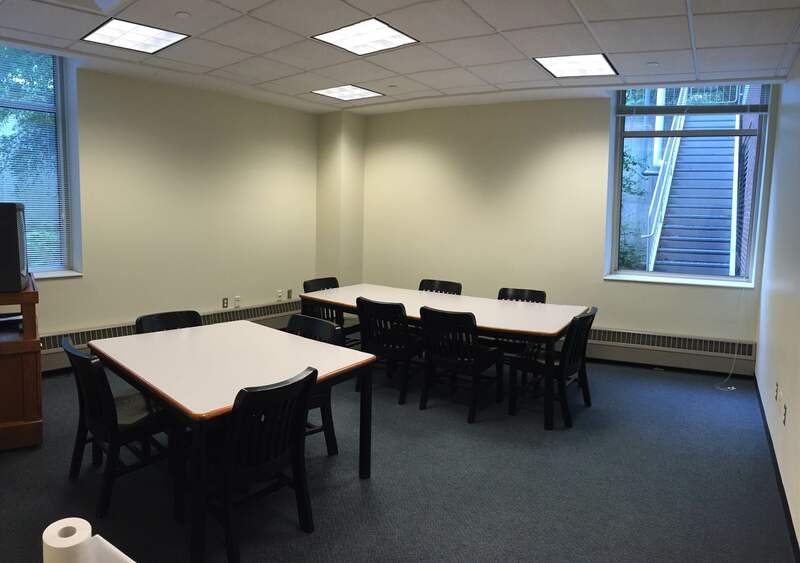 The Law Library has 10 group study rooms for student use. Follow this link to reserve a room. Rooms can be reserved for a maximum of 2 hours. Note: during exam period, additional rooms, namely the Law Library classrooms - Rooms 253, 153 and 155 - will be added to the room reservation system. 1) Ear plugs - Stop by the Information Desk to pick up a free pair of earplugs. 2) Book stands - Stop straining your neck by hunching over a casebook or text. A book stand will ease your neck and shoulder strain. Check out a stand at Information Desk. 3) Seat cushions - We've heard you - those wooden chairs need some cushioning after a few hours. Stop by the Information Desk and check out a soft red cushion for your chair. Also, there are soft armchairs and couches available in the Law Library. 4) Headphones - Prefer to block out any surrounding noises using headphones? Check out a set of headphones at the Information Desk. 5) Laptop chargers - Forgot your power cord? We have a selection of power cords available for check out at the Information Desk. 6) Mobile device chargers - Forgot your phone charger? We have a selection of chargers available for check out at the Information Desk. 7) Standing desks - Tired of sitting? Check out a portable standing desk from the Information Desk. 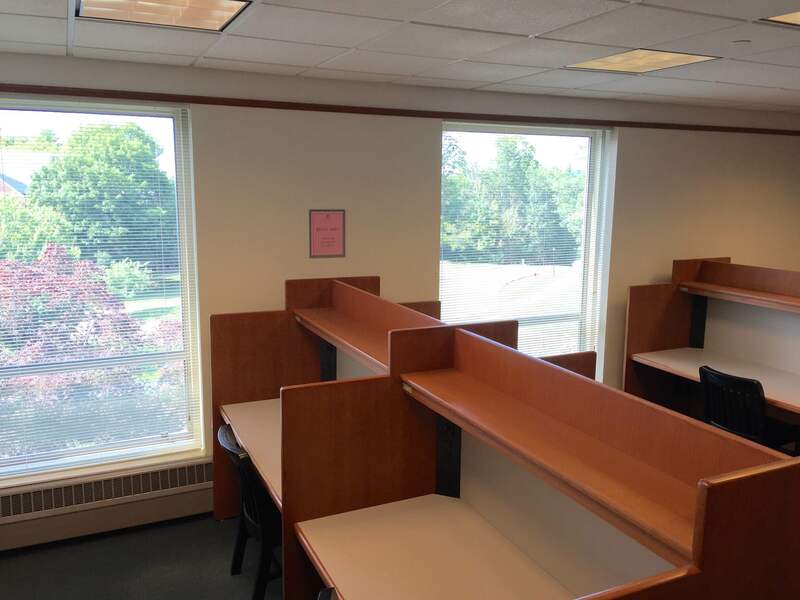 Also try out the Library's two permanent standing desks--one on the 3rd floor and one in the Quiet Study Area on the 4th floor. 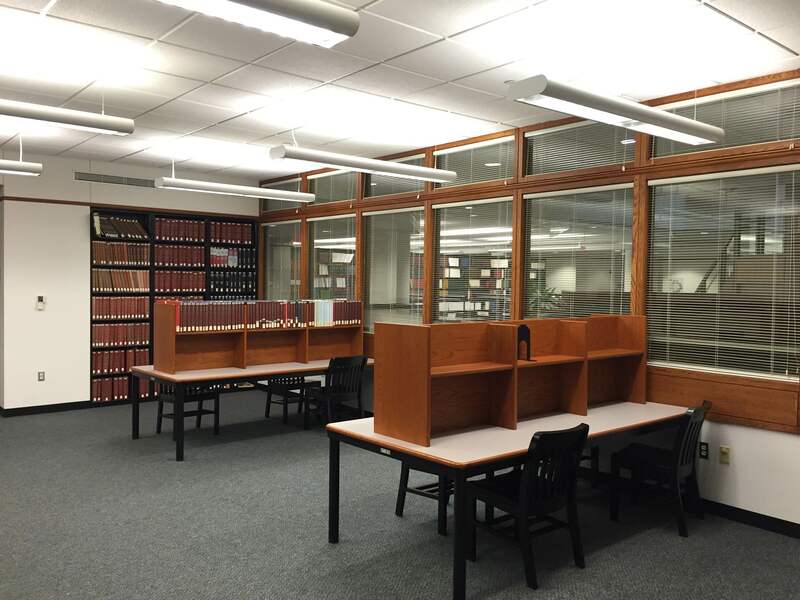 The BC Law Library maintains a selective collection of past exams. In order to access past exams, you will need to log in with your BC credentials. Note that not all law professors make their past exams available. Some faculty members prefer not to deposit exams with the Law LIbrary for permanent retention. Instead, they will deposit a print copy of a sample exam for a limited time. These print copies are held in the Course Reserves section at the Information Desk where library staff members can assist you in retrieving the exams. Some faculty members may post a prior exam or individual sample questions on the course website. You won't discover this source by searching in the Law Library or using the Catalog since only enrolled students may access the course website.